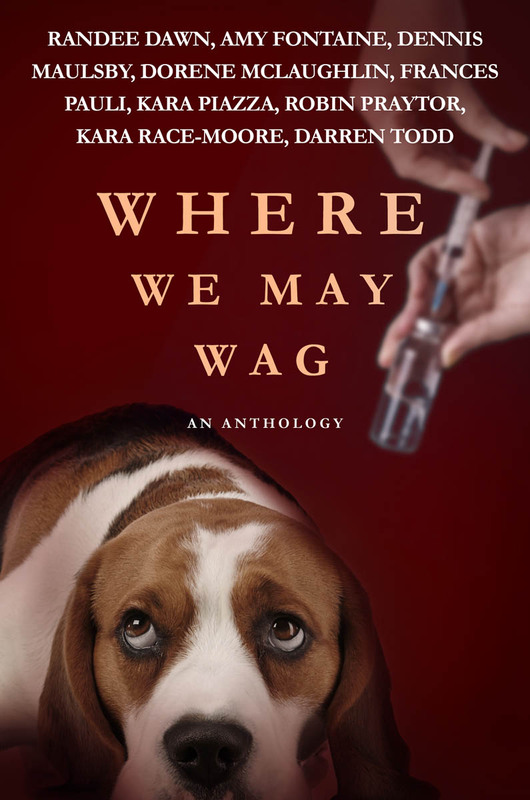 of Where We May Wag! I can’t tell you how excited I am to finally see this day arriving! So close I can almost taste it! We are just awaiting the print copy proof for final approval and then we can upload everything and launch this puppy (pun intended)! So many amazing people came together to make this happen and I am so grateful for all their work and endless patience. Now we need your help to get the word out! The profits from the sales of this book are going to an incredible cause, The Beagle Freedom Project, which helps rescue animals from animal testing facilities. So once the book is released, please pick up a copy of it and tell all your friends and fellow animal lovers to do the same. Then share, share, share on social media and IRL (in real life) so we can help raise some money to rescue these precious animals that have lived such a horrendous life. You can help give them the love and care they need after being brought out of dreadful facilities all over the world. We’ll let you know once we have a firm launch date so you can be ready to order your copy and help us get the word out. Also, if you know of any places that might like to help promote this project, drop us a line at thewritingpiazza@gmail.com. We will take all the help we can get to bring attention to this issue.